The staff here at King Autos LLC have been happy serving the Harrisville, PA area and would love to help you find your vehicle. As a family owned used car dealership, we see ourselves as part of the community and believe in supporting and helping others make the right decision when buying used cars. Bank Financing available - LOW MONTHLY PAYMENTS. We feel that it is important to stand behind what we sell, so we offer a standard warranty on every vehicle we sell. Extended warranties are available for added protection on all the vehicles we sell. Get top dollar for your trade on any vehicle we sell. 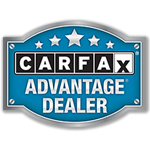 In addition, we offer a CARFAX vehicle history report on every car we sell.